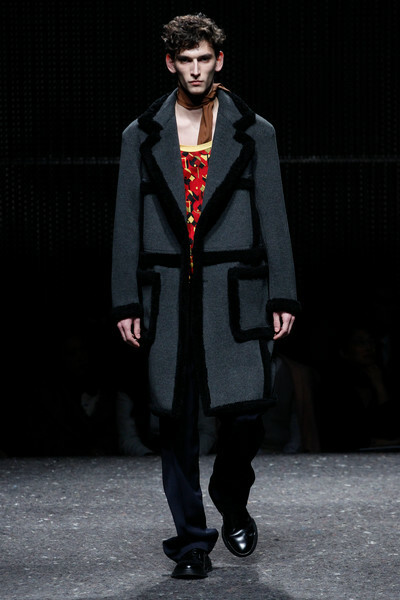 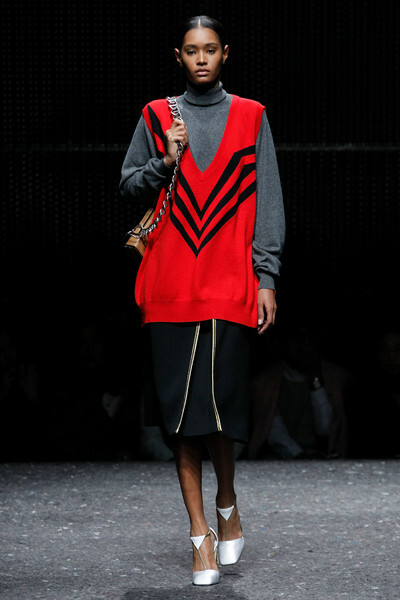 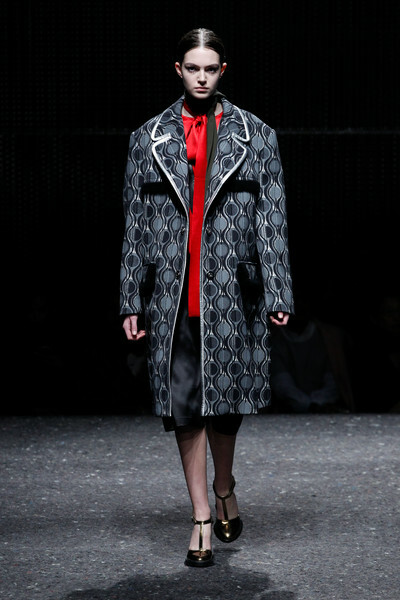 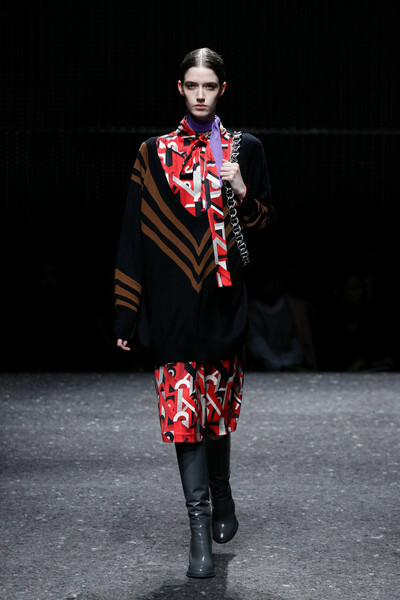 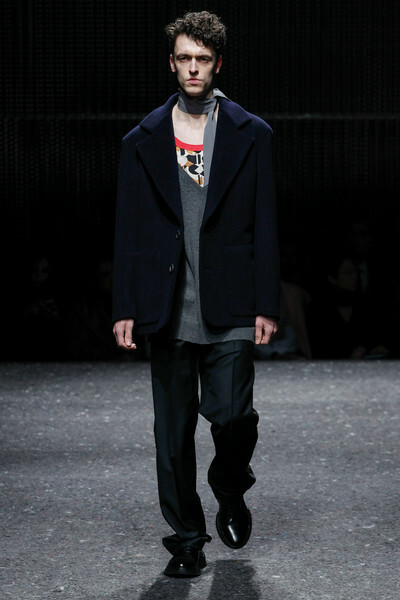 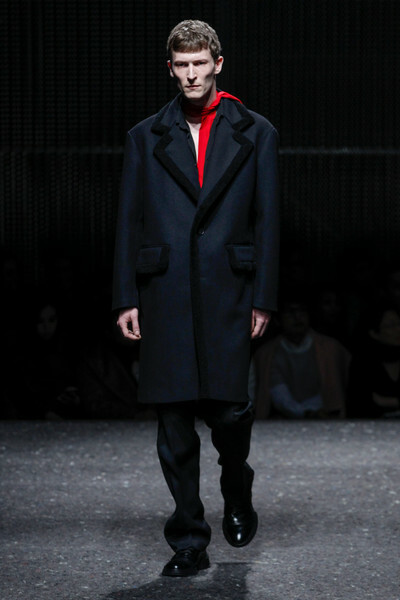 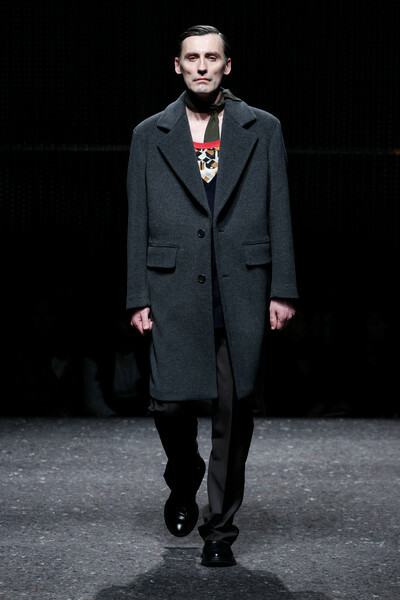 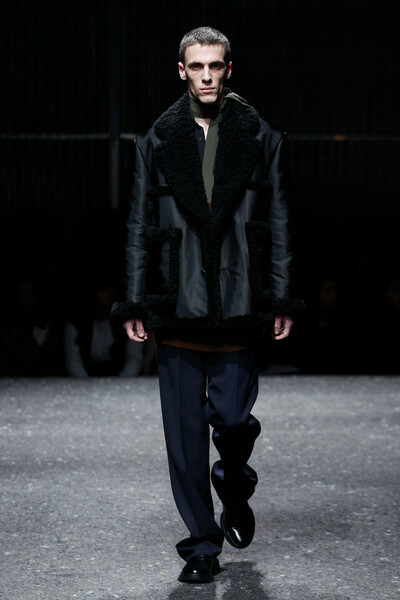 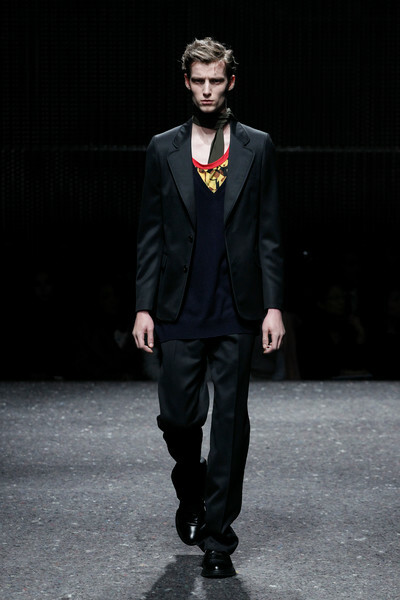 In the same spirit as the menswear show in January Miuccia Prada presented her f/w2014 womenswear collection on Thursday (okay..and a few menswear looks shown by a selection of male models). 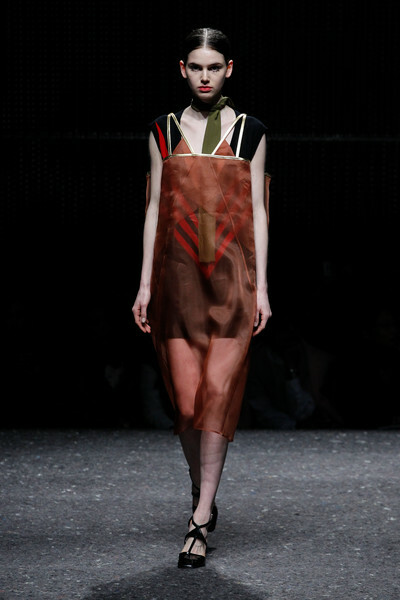 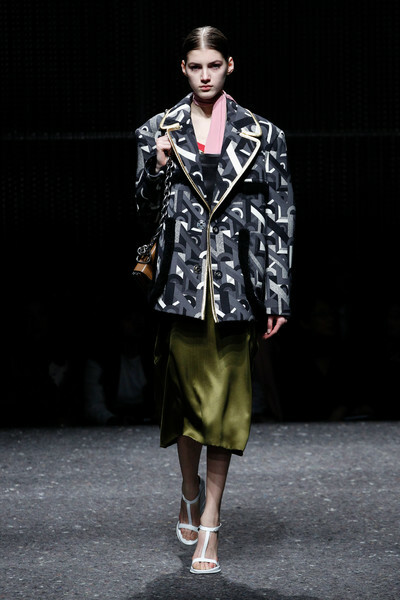 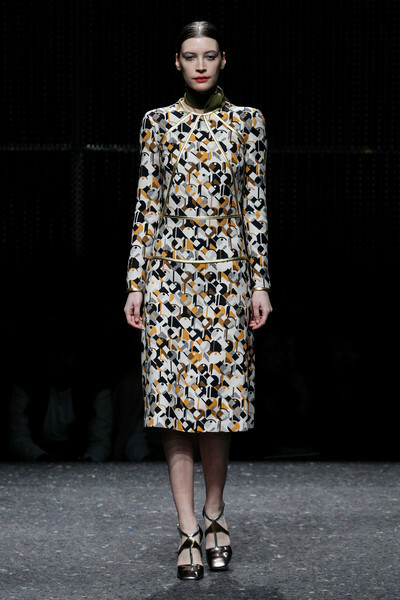 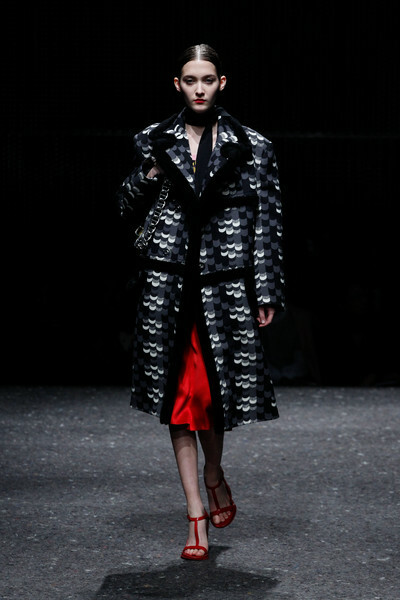 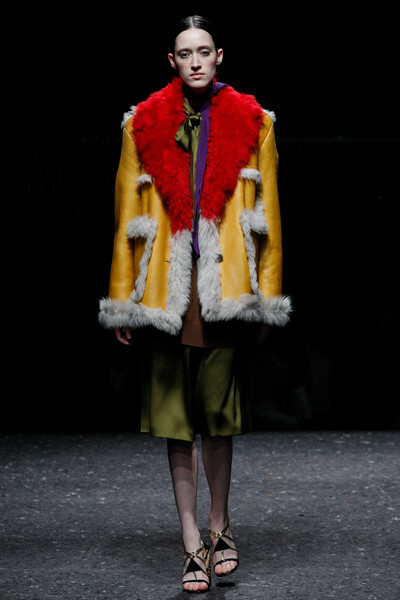 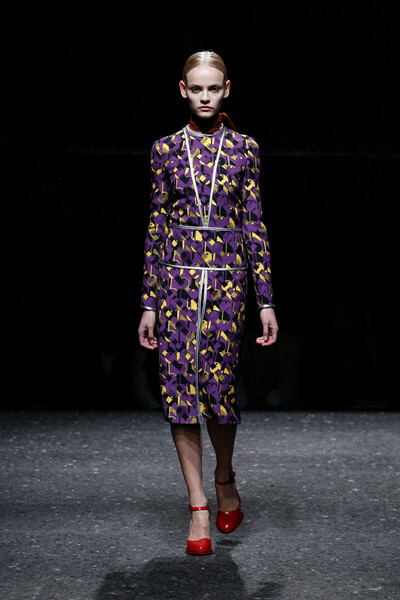 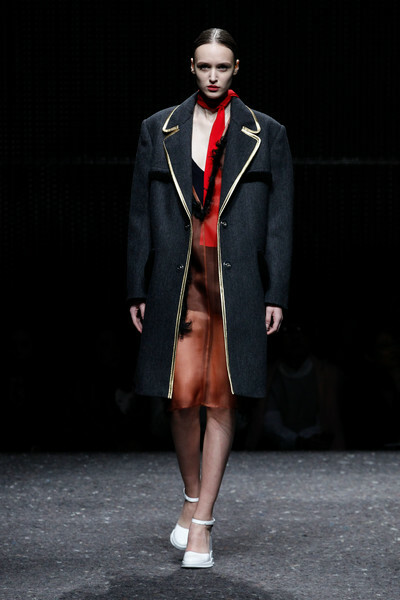 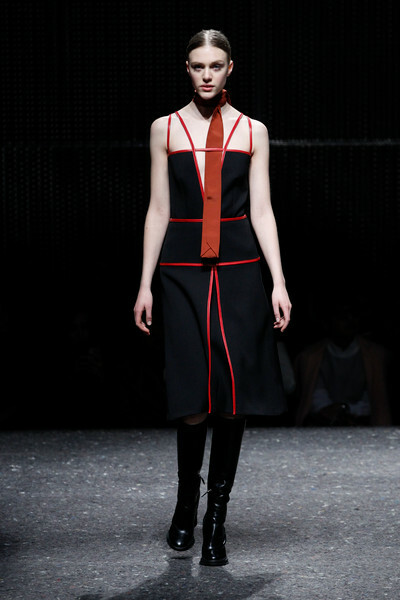 As an orchestra was playing and actress Barbara Sukowa was singing we were once again wowed by Prada’s girls. 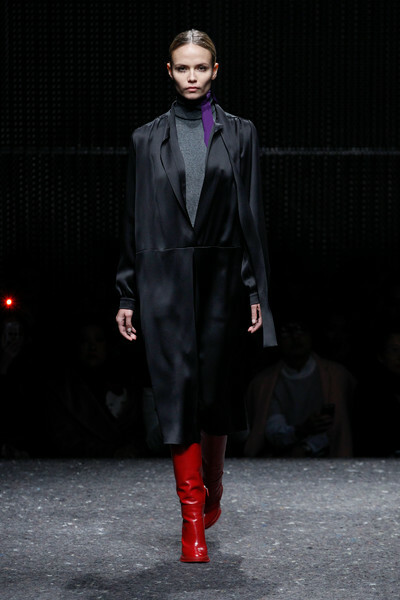 Natasha Poly (back on the runway since giving birth last year) opened the show in a black satin dress and bright red boots. 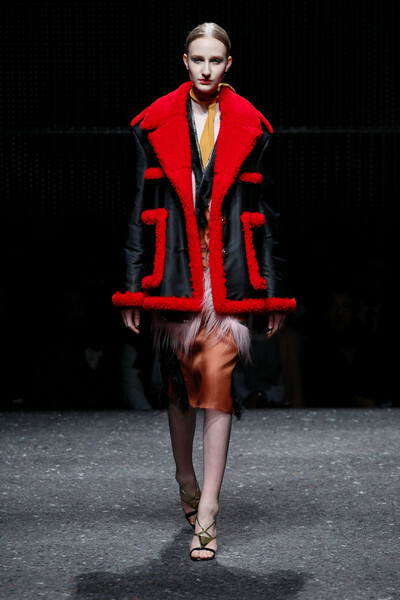 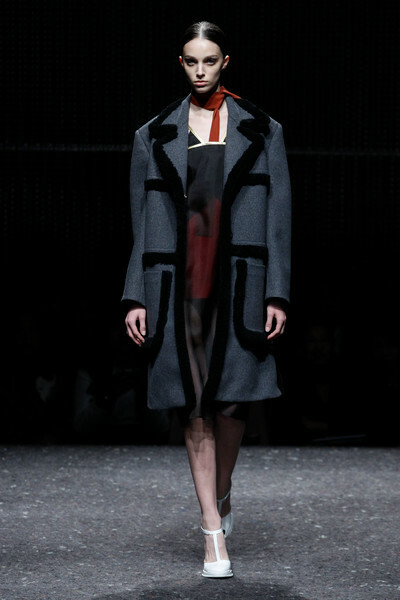 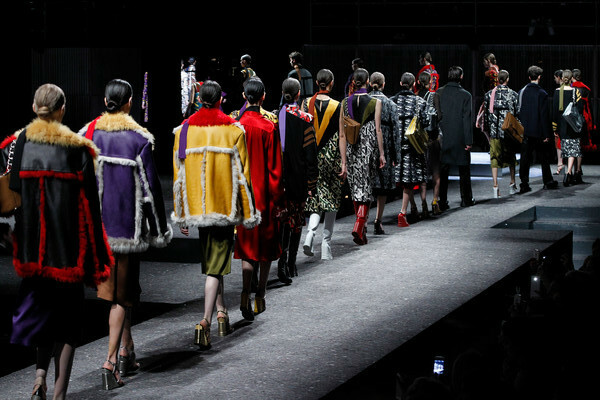 Followed by girls in sheer dresses (feminine) with boxy coats (masculine) full of shear ling details and woolly edging. 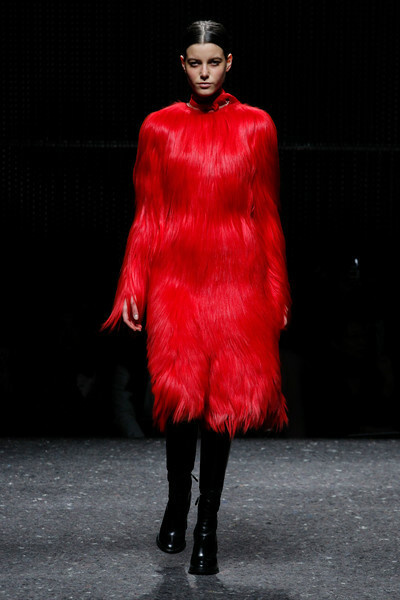 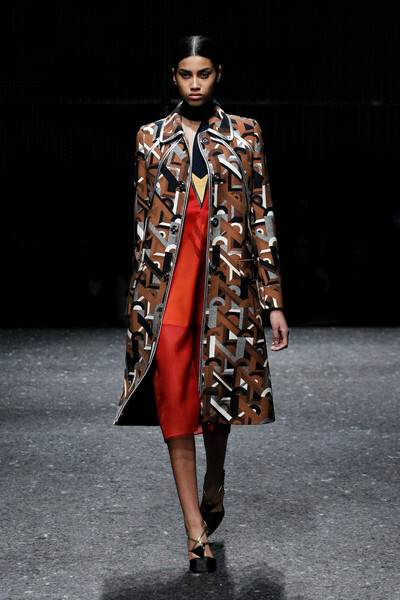 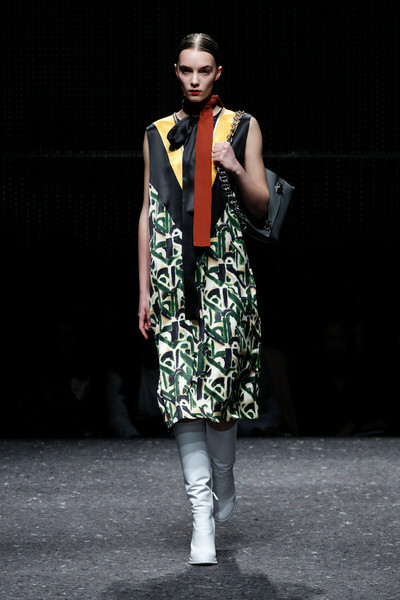 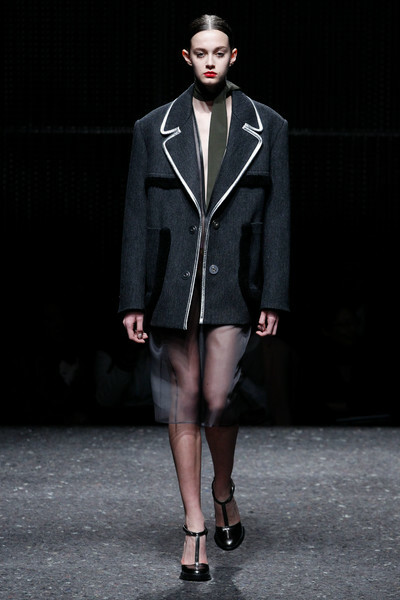 Things that, in Miuccia’s words, look either sophisticated or plain vulgar. 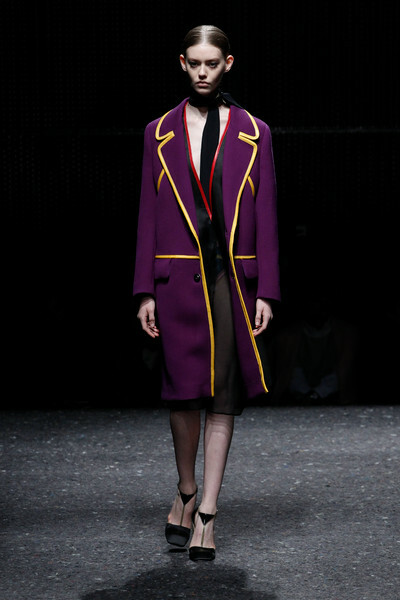 The designer made lots of room for color; purple, red, mustard, gold and cognac in the mix with darker tones. 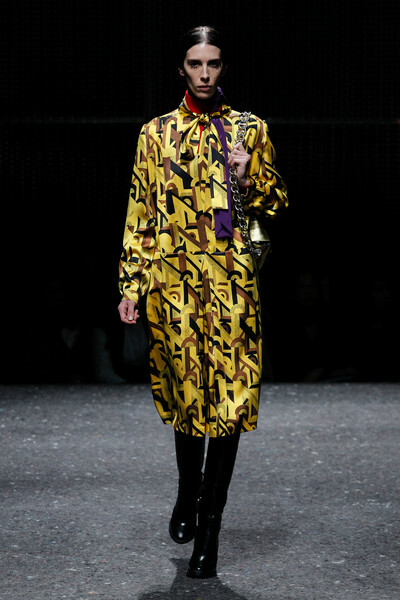 They were used on bold seventies prints, inspired by the 1972 movie The Bitter Tears of Petra von Kant. 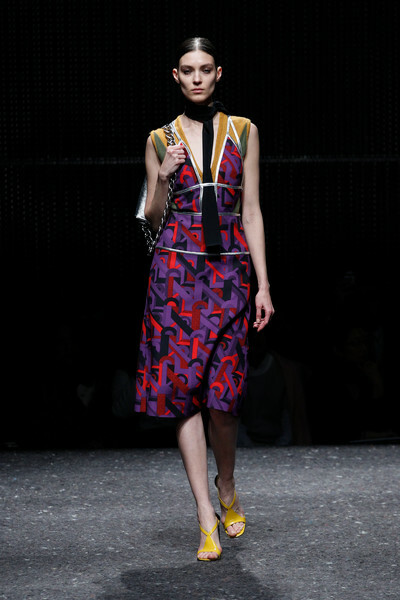 Skinny silk scarfs (which had a tie feeling), sandal-like shoes and chain shoulders bags were the collection’s accessories. 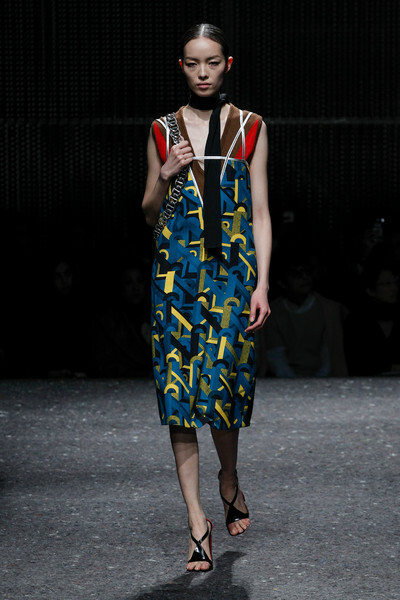 Another refreshing collection from Miuccia’s hand. 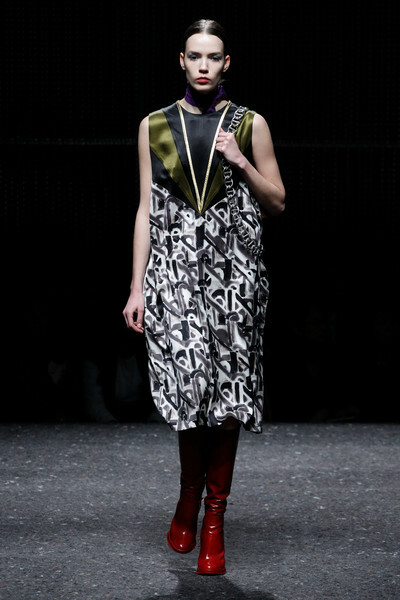 Let’s hope she will have enough time left to keep designing in the future, now that she’s also the company’s Co-CEO.